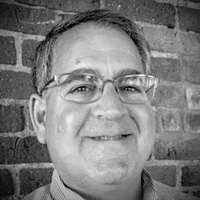 A practitioner turned college professor, Rich Weissman had more than twenty-five years of practical experience in all aspects of supply chain management. He is past president of the Institute for Supply Management –Greater Boston and the recipient of the Harry J. Graham Memorial Award, the highest honor bestowed by the Association. He writes and speaks extensively on issues impacting the global supply chain. Return on 'Integrity': The next performance metric? App aims to improve working conditions in Bangladesh, but who reports? Fashion brands face petition for supply chain transparency, but at what cost? Digital sourcing will revolutionize the apparel industry. In fact, it already has. Supply chains absorb significant friction costs, but is automation the answer?